SenGenuity by Vectron - RFMW UK, Ltd.
Vectron International has long been a global leader in the design and manufacture of Frequency Control electronics utilizing the very latest in both bulk acoustic wave (BAW) and surface acoustic wave (SAW) technology. 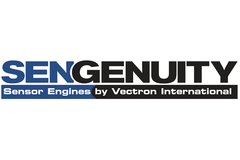 The SenGenuity Sensor Engine product line was established to leverage Vectron’s core competencies towards emerging sensor markets and applications. 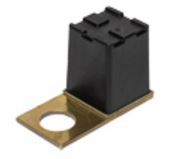 Vectron’s unique combination of frequency control and acoustic wave technology, advanced packaging and volume manufacturing expertise enables unique, highly robust sensor solutions, specifically engineered for critical temperature, pressure or fluid sensing applications. SenGenuity believe that knowing what is happening is far better than knowing what happened. The SenGenuity Sensor Engines offer the ability to monitor critical temperature, pressure or fluid parameters in real–time allowing systems designers and engineers to use the information to optimize their applications.